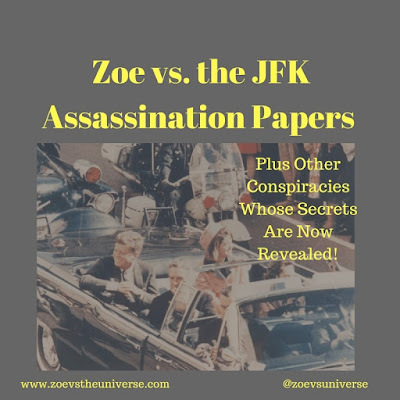 Zoe vs. the Universe: Zoe vs. the JFK Assassination Papers. Plus Other Conspiracies Whose Secrets Are Now Revealed! 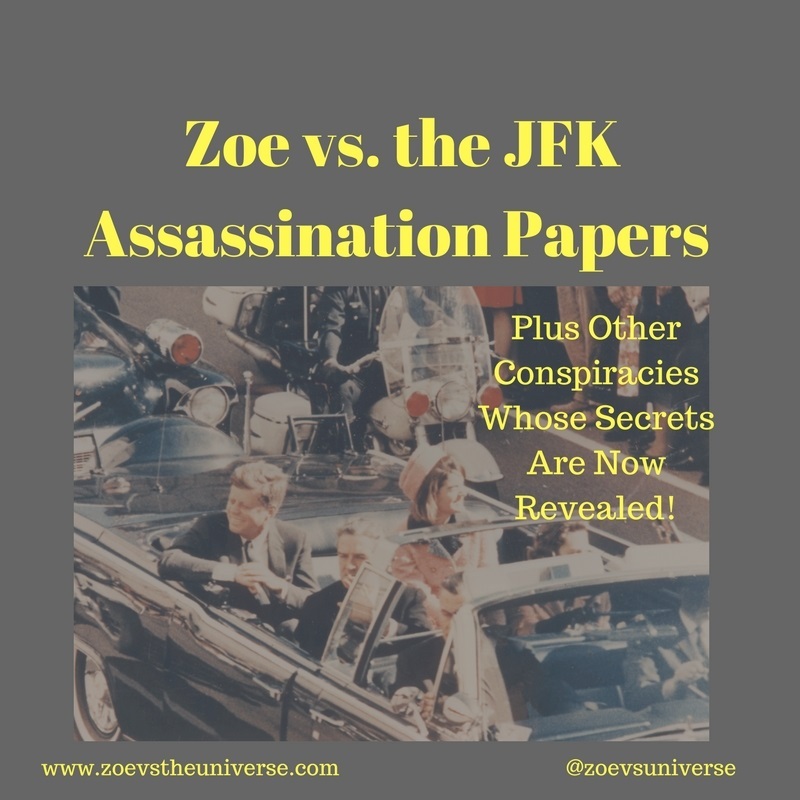 Zoe vs. the JFK Assassination Papers. Plus Other Conspiracies Whose Secrets Are Now Revealed! It may seem far-fetched that a seven-year-old girl from Brooklyn could be the force behind one of the biggest conspiracies of the past century. Mainly because she wasn't born yet. Then again, this is a child who somehow ends up with two pieces of gum when I offer her one, so she's skilled at misdirection. I know going from sneaking gum to global destabilization may seem like a jump, but hear me out. We all knew Dominion Over All was in her sights from the beginning. Since the government announced they would be releasing the final files regarding JFK's assassination on October 26th, Zoe has been furtive and nervous, biting her fingernails, then suddenly getting distracted by a TV commercial before continuing to bite her nails. Honestly, I'm not sure which of us has been acting more paranoid. Zoe's bemoaned my lack of transparency since that time I hid carrots in the tomato sauce. And after the first time something fell in her room, and I said, "What was that?" and Zoe said, "Nothing," but as it turned out it was something, I haven't trusted her either. As soon as Zoe could walk, the first thing she went for was my phone. Suspicious, right? Who was she going to call? She didn't know anyone's number. Or so I thought. . . . I'd get the phone away from her quickly, but a few times after I got it back I'd notice an app was missing. And I could never remember which one; I only knew something was gone because of the empty space on my home page. This was my first hint that she had deep background in CIA mind control. Everyone knows the conspiracy theories surrounding JFK's assassination on November 22, 1963. The suspected architects behind the assassination have been, variously, the CIA, the Mafia, LBJ, the KGB, or a mix of all of those. Very few people mention aliens. Could that be by design? More on that later, but suffice it to say that if you believe we've been visited by aliens and have been reverse engineering alien technology including time machines since the crash in Roswell in 1947, the idea that Zoe could be a time-traveling alien/assassin starts to make a lot of sense. After all, I was pretty drugged the day she was born, so who knows what might've happened. I've seen Rosemary's Baby. Crazy stuff can and does occur. Back to JFK. You'll notice there was one name I didn't mention, someone else who may have been behind the assassination: Fidel Castro. However, some people think that when the papers are released, we'll find what the government was really hiding, that the CIA wasn't targeting JFK; they were targeting another world leader, Castro. By now you can see where I'm going with this. It is now almost 54 years since JFK was assassinated. Fidel Castro died last year, 11/25/16, which is not just 53 years after JFK's death but if you add the numbers in the date, you get 52, which is just one more than 51, clearly pointing to Area 51, where the remains of the alien spaceship that allegedly crashed in Roswell were allegedly taken. Now these aliens were supposedly from the Zeta Reticuli star system, or, ZR. Guess whose middle name is Ryan, meaning Zoe's initials are also ZR? The evidence of her alien origins was mounting! 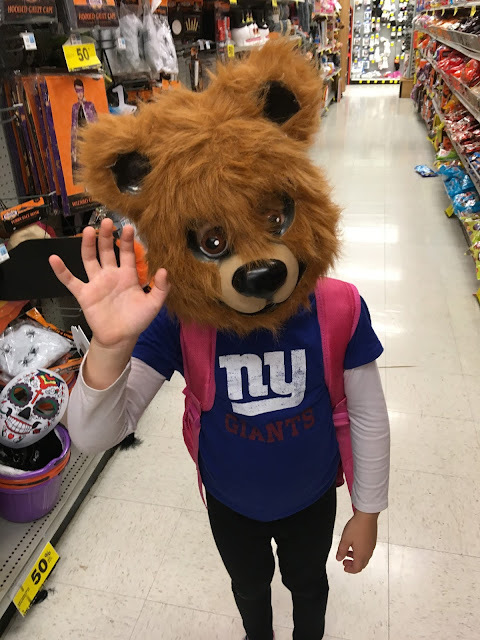 It was becoming clear that my daughter was actually an ancient alien being who either looks like a little blond-haired girl or has time-traveled since she was "born" and went back in time to assassinate JFK and pin it on Lee Harvey Oswald, who, if we rearrange the letters in his name, we get "VERY OLD SEA WHALE." And as we all know since Star Trek IV: The Voyage Home, whales are on a conversational footing with aliens. Boom! Blond hair, check. Bangs, check. Glowing eyes, unconfirmed. But who's behind it all? 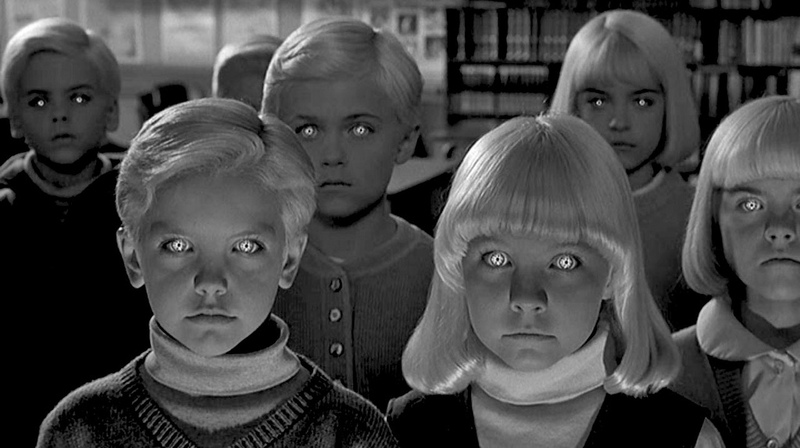 Don't buy those stories about the Reptilian Elite; that's just ridiculous. I mean, look at their spokesman/patsy, Barney the Dinosaur. Could it be the aliens from Zeta Reticuli? And are they acting alone or with some sinister group of humans or alien-human hybrids? Perhaps the rumored Majestic-12, the powerful figures in business and government who, it is said, truly run the world. The only reasonable conclusion is that the lion's share of the mysterious goings-on of the past century have been spearheaded by a cute second-grader with a dark secret, but she's about to be found out, as soon as someone can wade through those thousands of pages of unredacted documents. Not me, though; I'm too busy trying to restore some apps on my phone. P.S. Zoe faked the Moon Landing. One of her many disguises. Cuteness is the most dangerous weapon in her arsenal. If you enjoyed this post, you may like Zoe vs. My Smartphone.